Dr. Bob Wood is a former insider turned whistleblower who worked in various secret government projects not too far removed from secret space programs. During the height of the UFO whitewash (a deceptive government suppression of the 1950s and 60s) he began his investigations into the UFO question, discovering early on that a government cover-up was taking place. Later, after proving to himself that extraterrestrial technology and contact was real, he became a premier figure in the field of document authentication, specifically dealing with secret government projects. 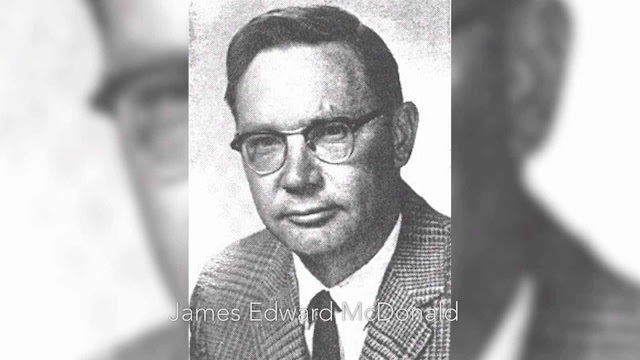 Dr. Wood graduated from the University of Colorado in 1949, quickly being hired for a summer job at the then Douglas Aircraft Company—later merging to form McDonnell-Douglas in 1968. He worked on missile programs that were managed by the same group William Tompkins used to work for who is another secret space program insider. Dr. Wood much later in his life helped Tompkins finish writing his autobiography, Selected by Extraterrestrials. During a second summer job at Douglas Aircraft Company, Dr. Wood suspected that secret discussions were taking place—the think tanks mentioned by Tompkins—but was told that they did not exist. However, Dr. Wood recalled that Tompkins could be seen walking the halls while at Douglas, which Dr. Wood concluded was proof that they lied to him. 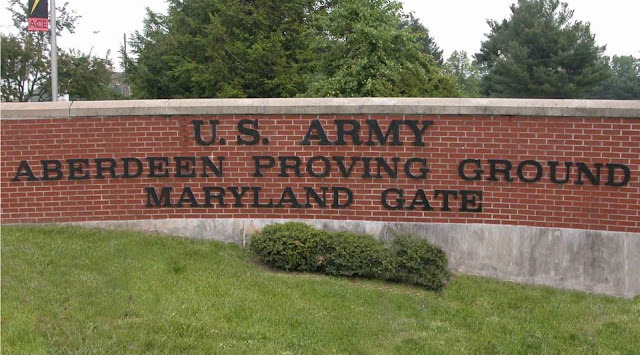 After receiving his PhD, Dr. Wood worked for Aberdeen Proving Ground in their ballistic missile program on shell dynamics. 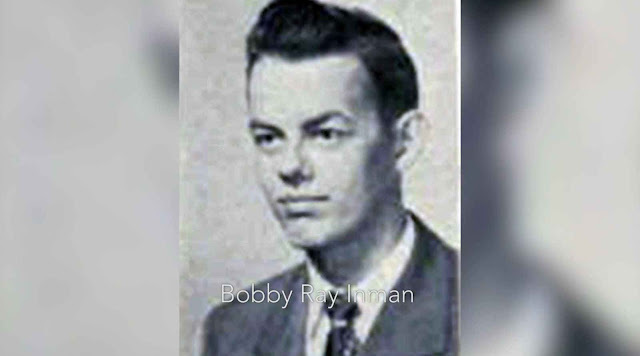 After ending his official study of the UFO phenomenon while at Douglas Aircraft, he was recruited by the CIA to study the Soviet Ballistic Missile Defense Program, enjoying top secret clearance during his participation. 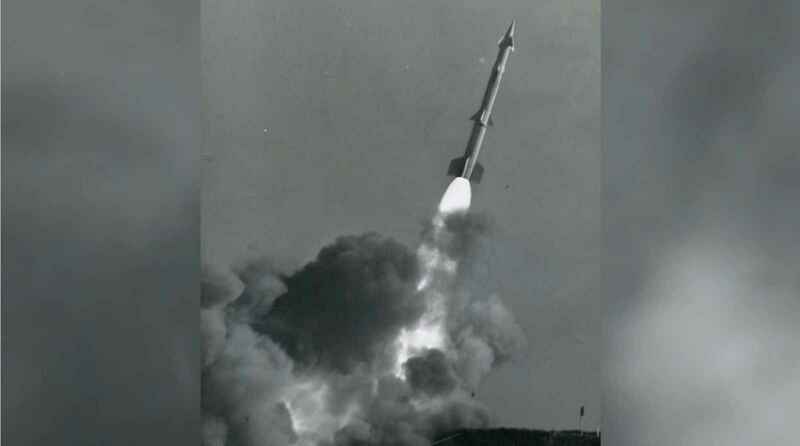 He provided support for projects dealing in thermodynamics, such as the Thor missile, ensuring that projectiles developed did not burn up during flight. He also worked on the Nike-Zeus missile program. He continued to be involved in aerospace management for the rest of his career, eventually playing a role in the development of the International Space Station (ISS), officially retiring in 1993. His work with UFOs began much earlier in his life, while still working for the aerospace industry. In 1968, Dr. Wood and his superiors were discussing a briefing that was to be given to the Air Force the following week regarding how to bring a spacecraft to orbit and back. Dr. Wood jokingly suggested that his boss tell them how UFOs manage the feat. 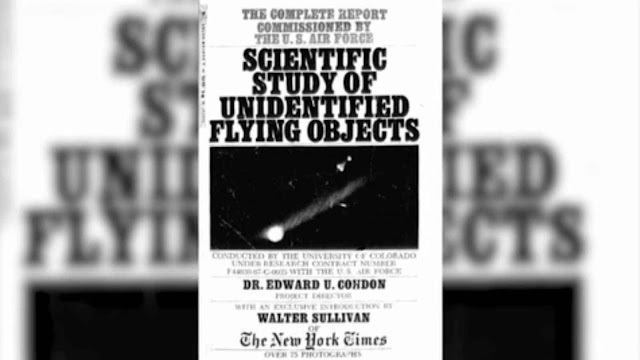 In response, Dr. Wood was asked to research the topic and began reading UFO literature. This was just after the 1950s era of UFO research—some years earlier when it was taken very seriously by academics and scientists. But now, after several government sponsored cover-ups and smear campaigns, discussing the UFO issue seriously is considered taboo. Dr. Wood quietly studied as much as he could by reading over 50 books on the UFO topic. He concluded that the phenomenon was most definitely real and actively being suppressed by certain forces within government and industry—to what end, remained a mystery to him. 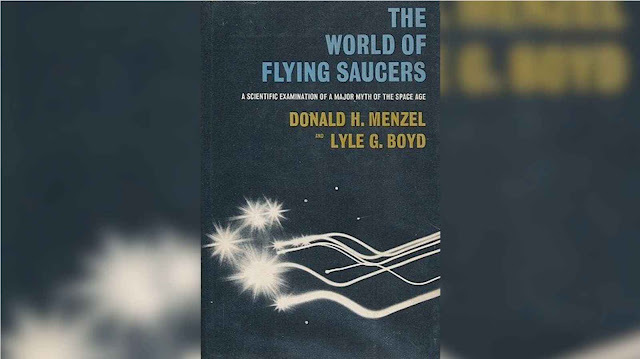 After the Air Force briefing, he was asked by some of his superiors at Douglas what he had been studying, to which Dr. Wood said he was reading books on UFOs and that he concluded with great certainty that aliens were indeed visiting the Earth. But what he wasn’t sure of was if they—Douglas Aircraft—would be able to reverse engineer their technology before their competitor Lockheed Martin. There was a moment of revelatory silence, which Dr. Wood implied that these men knew of secret reverse engineering projects. They asked Dr. Wood what would be required to look into reverse engineering as well, and for the next year or so he was funded with a half million dollar budget to advance the project. In the late 1960s, Dr. Wood hired Stan Friedman to read UFO literature and determine if there was anything they could use for the project. They also hired a detective to interview abductees, all of which was considered abnormal at the time—at least in an above-board or official capacity. 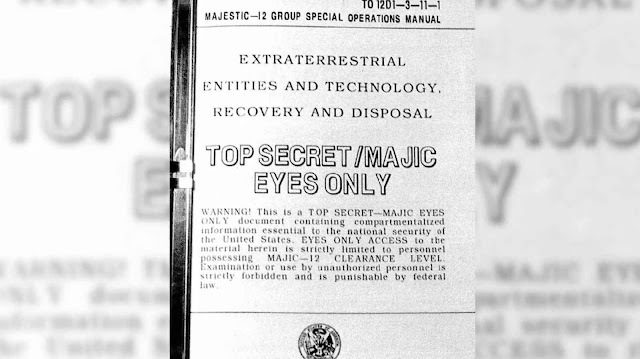 Behind closed doors, intelligence gathering regarding the UFO and extraterrestrial phenomenon was actively taking place, as disclosed by other whistleblowers like Clifford Stone. Dr. Wood continued his studies, joining several prominent UFO research groups at the time, such as MUFON and CUFOS. During his investigation, the UFO cover-up and ridicule of investigators was actively taking place. The infamous swamp gas explanation that is regarded as one of the most ridiculous, emerged during this era of history. Undeterred, Dr. Wood continued his investigations in an official capacity working for the aerospace industry that likely kept his work secret. James McDonald was a physicist who was actively campaigning for the expansion of UFO research during the early days of Ufology, prior to the government whitewash. He held regular lectures that Dr. Wood attended from time to time. During one such event, Dr. Wood met with McDonald who encouraged him to speak with the Condon Committee, while they were conducting their investigations. 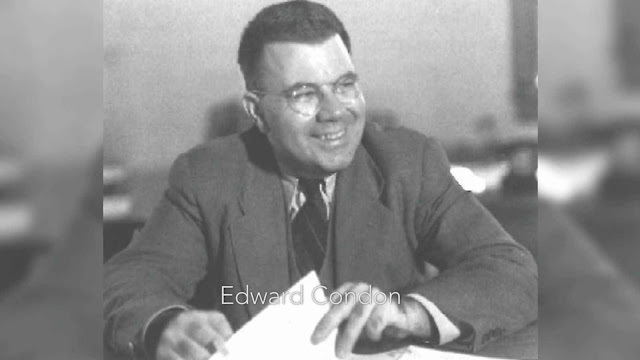 The Condon Committee was a University of Colorado UFO project group funded by the US Air Force headed by physicist Edward Condon. The Condon Report was a scientific study of the UFO phenomenon, reviewing evidence collected by Project Blue Book and elsewhere. Dr. Wood told the committee that he and his associates were conducting a study and believed they had found a way to reproduce UFO propulsions systems using the Earth’s magnetic field. The effort was ultimately unsuccessful, but Dr. Wood observed during their exchange that improvements could be made to the Condon Committee infrastructure, specifically in separating skeptics from UFO believers. This suggestion was not received well by James McDonald, who quietly made efforts to have Dr. Wood fired, which proved unsuccessful. McDonald and Dr. Wood were good friends, and he was troubled when he learned that McDonald had committed suicide in 1971. Some time prior, McDonald came to Dr. Wood for what would be one of their last conversations, saying that he had “finally found out what’s really going on.” Dr. Wood suspects that McDonald found a top secret document describing a UFO crash retrieval and recovery program, similar to what was revealed by Clifford Stone. Shortly after, James McDonald committed suicide. Prior to his death, McDonald asked Dr. Wood to testify before Congress regarding his investigations into the UFO issue. This seemed like a good idea to Dr. Wood at the time but after meeting with his superiors, he decided testifying wasn’t a prudent course of action. This choice may have spared him public ridicule or even death, as prominent figures who believed in UFOs were being “taken care of”—like James McDonald. In 1970, after several years of research and still no answer to the question of how UFOs worked, Dr. Wood and his team ended all their investigations. 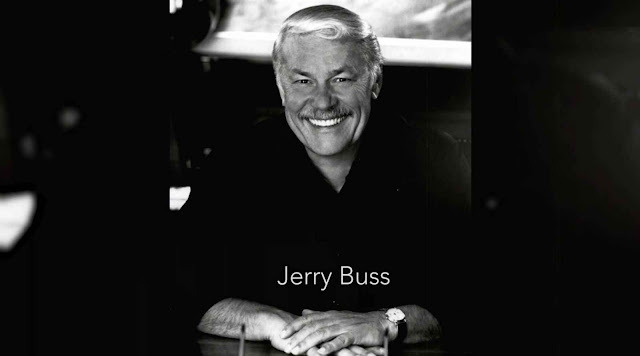 He made a deal with Stan Friedman that they would never speak publicly of their work, owing to the fact that studying the UFO phenomenon was becoming taboo, transitioning into the shady world of secret government projects and as such investigation was punishable by excommunication or death. 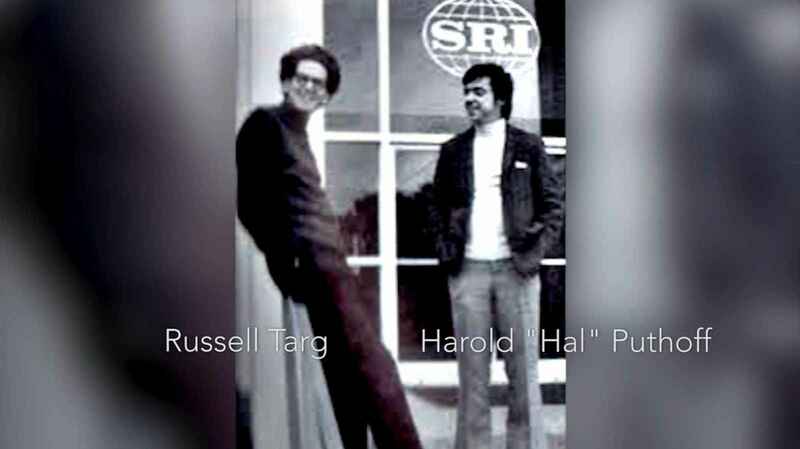 During the 1980s, while working on the ISS under an efficiency and logistics program to make the project cheaper, better, and more expedient, he was introduced to Russel Targ and Harold Puthoff of Stanford University, who were researching remote viewing. Dr. Wood also became active in the Society for Scientific Exploration, which was a group of university professors who “thought outside the box.” Dr. Wood retired from official service in 1993, having led a productive career in the aerospace industry. In 1995, Stan Friedman contacted Dr. Wood saying he had received a document entitled “Extraterrestrial Entities and Technology, Recovery and Disposal,” asking if it could be authenticated. After having it analyzed, he came to the conclusion it was genuine, citing evidence it was printed in the 1950s, such as with seals, signatures, typeface placement and so on. Dr. Wood’s son, who was just 15 years old at the time, took an interest in the authentication work, partnering with his retired father. Both he and his son went to a UFO meeting in Connecticut, with those in attendance impressed that their documentation had been authenticated. It was at this point Dr. Wood found his second career as an Authenticator of Documents, specifically those related to secret government projects and UFOs. Dr. Wood learned of Corey Goode through reading Dr. Michael Salla’s book, Insiders Reveal Secret Space Programs & Extraterrestrial Alliances. He was taken aback by the revelation that a secret space program existed covertly while he was directly involved with many of the aerospace companies mentioned by Goode and others. Prior to this, Dr. Wood was working with William Tompkins to help him finish his autobiography, Selected by Extraterrestrials. All of this occurred during 2015, which Dr. Wood describes was a year of great personal revelation and awakening. Tompkins was previously presenting a great deal of information to Dr. Wood that was corroborated by Goode, as presented by Dr. Salla in his book. Dr. Wood worked with Tompkins to write his book, saying that he was able to confirm what Tompkins refers to as think tanks, Dr. Wood knew of as vaults. 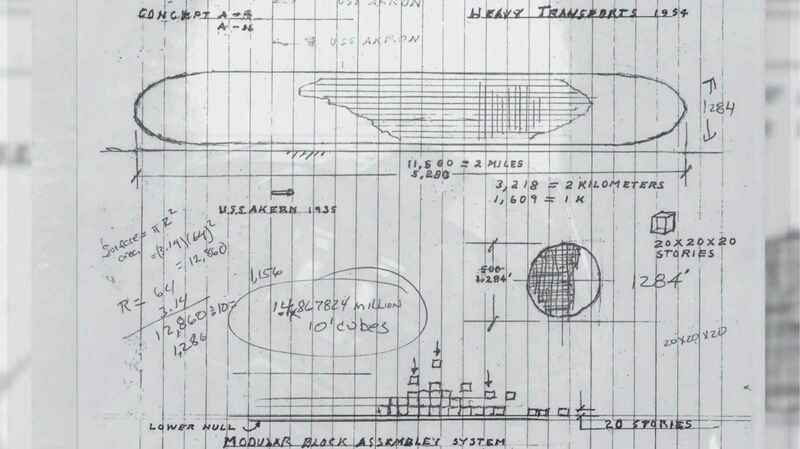 Little did Dr. Wood know at the time that he and Tompkins were working on the same projects, except that Tompkins would continue to work in a secret arm of Douglas and later other projects for the development of advanced spacecraft, in particular, the cigar-shaped craft used by Solar Warden. Tompkins also told Dr. Wood that the think tank he worked for had clearance to study anything they wanted, such as how the pyramids were built, how UFOs worked, and so on. The Douglas think tank specifically created for this type of secretive research later became the RAND Corporation. Dr. Wood shares that RAND had two main branches of development and seemed to have changed focus several times from their original purpose. 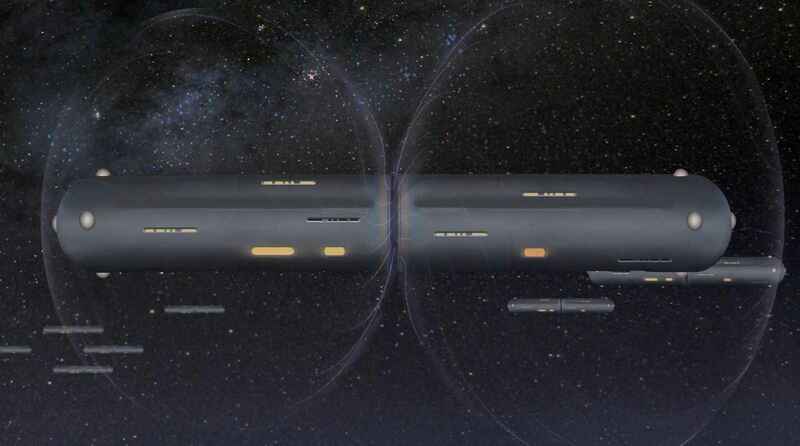 One branch of the think tank was studying secret projects, like spacecraft recovered from the Battle of Los Angeles, whereas another branch was populated by mainstream academics and scientists who did not believe in superluminal space flight or UFOs. This later group was most likely a cover for more esoteric research conducted by the former group. Dr. Wood shared during the interview that William Tompkins has not fully revealed everything he knows to him, to which David Wilcock implies that Tompkins may still be having regular meetings with high level figures in secret government projects. But Dr. Wood replied that he does not think Tompkins was aware that his work with the Navy designing advanced spacecraft carriers would eventually become a secret space program. Dr. Wood is unique in that he was working within the same aerospace companies that other insiders worked for but was not directly aware of secret space programs. His job within classified projects was limited to conventional warfare, such as missile defense systems. But he was able to gain experience and insight into classified programs, enabling him to provide authentication services to researchers in possession of UFO and extraterrestrial-related documentation. Dr. Wood is also unique in that he was one of several pioneer UFO investigators during a period in Ufology history when overt research and investigation by esteemed figures in the scientific community was taking place. James McDonald was one such figure who was working directly for the Condon Committee, a group of university professors and investigators studying UFOs. It wasn’t until after the whitewash of the UFO issue began in earnest after Project Blue Book’s end in late 1969 that Dr. Wood went underground. Prior to this, he was researching UFOs as a non-contactee. While working for Douglas Aircraft, Dr. Wood had a discussion with his superiors in relation to a briefing they were to give to the US Air Force dealing with how to bring a spacecraft into orbit and back. He suggested that they discuss how a UFO might do this, implying that their competitors, Lockheed Martin, might have already made some advances in reverse engineering UFOs. Instead of being baulked at or dismissed summarily, Dr. Wood was asked to develop that project. This implies that not only did his superiors at Douglas know of and possess recovered spacecraft from UFOs but that they also knew of similar projects taking place at Lockheed Martin. James McDonald’s suicide in June, 1971, could have been part of the government cover-up operation that was occurring after certain decisions were made within the SSP leadership to move programs and projects into total secrecy. This would mean anyone who had knowledge of the more secretive aspects of the programs, such as the Extraterrestrial Entities and Technology, Recovery and Disposal document recovered by Stan Friedman, would be a major risk and needed to be dealt with. Arguably Friedman’s choice to cease all public investigations spared him from slander or even death. McDonald advised Dr. Wood to testify before congress in relation to the UFO issue, to which Dr. Wood declined after much consideration in 1969. This choice on his part may have also spared him any backlash from secret space programs that were washing all traces of their existence from the public record. Dr. Wood encountered a scientist who worked for the RAND Corporation, who stated that faster-than-light space travel was impossible. However, William Tompkins revealed that developments within Douglas, from which the Rand Corporation was born, not only knew of UFOs traveling at faster-than-light (FTL) speeds but also developed such craft in secret. This suggests that as part of ultra-secret projects related to UFOs and extraterrestrials, sometimes referred to as Cosmic Classification, there existed two fully functional programs, one was an overt or exoteric program that was used to hide the more secretive esoteric programs. William Tompkins, for example, worked for the more secretive think tanks at Douglas, whereas Dr. Wood worked for the CIA's more overt yet still classified secret missile defense programs. 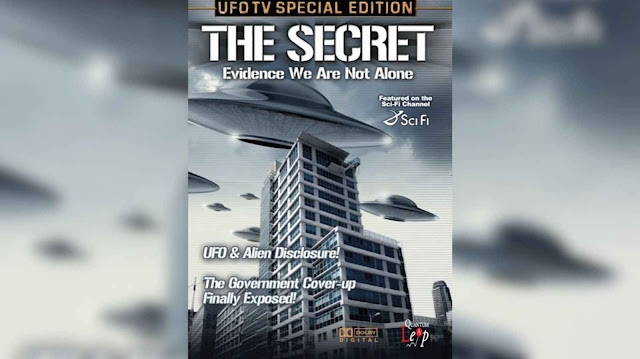 In Dr. Michael Salla’s book, Insiders Reveal Secret Space Programs & Extraterrestrial Alliances, Unacknowledged Special Access Programs (USAPs) are discussed in which participants are given authority to hide their activities from the public. Waived USAPs are a more secretive set of programs not required to report any of their activities or existence for congressional oversight. In these deep-black projects, oral briefs are provided to read-in persons only—those individuals who have a valid need to know. Participants are authorized to deny the existence of these programs under any circumstances, including congressional subpoena, providing a cover story to hide the project's existence. A supplement to the DoD manual related to special access programs states that cover stories can be generated with the goal of hiding a program's true purpose. This suggests that there were most likely two sets of secret programs, one that was designated deep-black or USAP, and an acknowledged project that would draw public attention. During Dr. Wood’s investigation into UFOs and related discussions with Douglas personnel, he most likely dealt with the acknowledged side of the program—the cover story that was meant to hide the more secretive program William Tompkins worked for. This explains the response he was provided stating that FTL was not possible. When considering the modus operandi of secret space programs, it appears that there are many layers to the onion—so to speak. The program with the greatest interest would be shielded from public scrutiny by hiding it under an acknowledged but classified program. If anyone managed to discover the program's existence, the cover story would be used to hide its true purpose. Within the honeycomb of secret government projects there exists many seeming contradictory layers, most of them completely unaware of the full scope of what is being developed at large. This suggests that as whistleblowers come forward, data provided will tend to be contradictory with other programs, as different compartmentalization cover stories were used. Many years before helping William Tompkins pen his autobiography, Bob Wood also worked at the same Douglas Aircraft facility. Instead of building out the Secret Space Program, his career placed him deep within the technical aspects of designing conventional aircraft and space-bound technology. But it was his deep interest in UFOs and technical prowess which gave him the opportunity to investigate how UFOs might work, despite not being given direct access to exotic materials. Eventually, the wall of secrecy crumbled and he now comes forward to share many of the secrets he has been able to uncover and authenticate. This interview with David Wilcock and Corey Goode was originally webcast August 23, 2016. Transcribed by Andrew K. Commentary by Justin Deschamps. Images for this episode are courtesy of gaia.com via spherebeingalliance.com. DW = David Wilcock, BW = Bob Wood, CG = Corey Goode. DW - Alright. 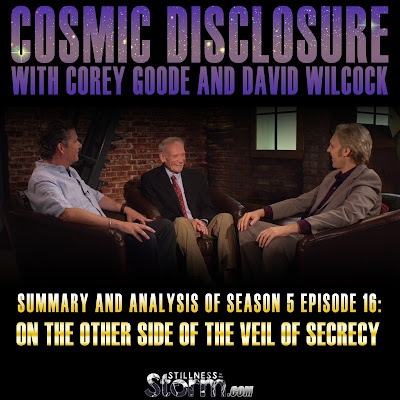 Welcome to “Cosmic Disclosure.” I’m your host, David Wilcock. And in this episode, I am here with Corey Goode, and I’m also here with Dr. Bob Wood. And Dr. Bob Wood is going to be our focus. Part of the reason why is that he has been acquainted with William Tompkins since 2009 and knows a great deal about Tompkins’ testimony. In fact, he’s practically a walking encyclopedia of what Tompkins knows. But Bob, you also are coming into this with a lifetime of very bizarre, interesting experiences related to this whole topic of cosmic disclosure. So I just want to hand it over to you now. And I know you said that you have some very critical autobiographical information you want to give us about yourself that will become very relevant as we go forward in your story in the timelines of what’s happened to you. DW - Douglas is the same company that William Tompkins worked for. BW - Douglas, at that time, had merged [with] McDonnell-Douglas in 1968. So my first summer job was working on missiles that day. I worked for some of the same people that later turned out, Bill Tompkins was working for. DW - Could you give us a couple names? BW - Yeah. Dr. Klemperer was one of them. Wolfgang Klemperer. 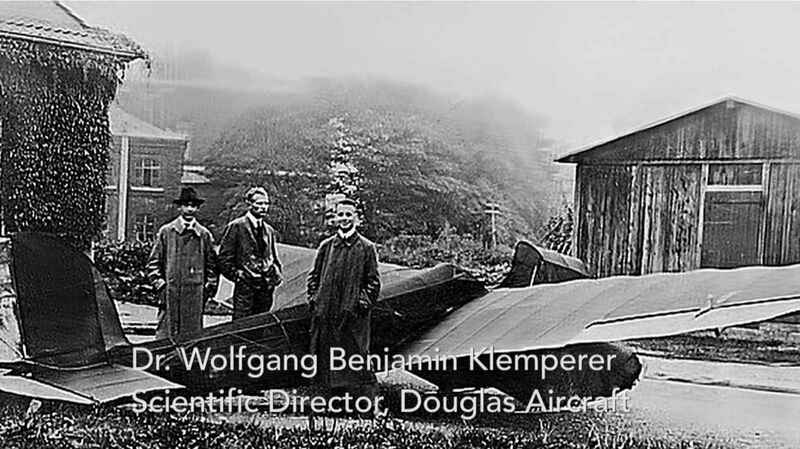 DW - Klemperer, right. He calls him Klemp in the book sometimes. BW - That’s right. Yeah. 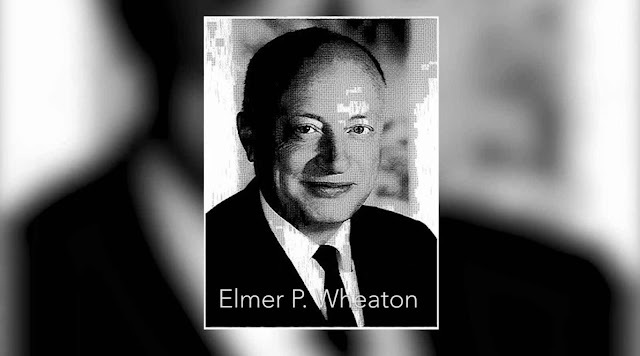 And the other one was Elmer Wheaton. BW - Elmer Wheaton later became a vice president of Douglas until he got hired by Lockheed. So after one summer job, I went to start to get my PhD, and I got my—I had a break. And I took another summer job and worked with some of the same guys. But it was interesting that at that time, I looked around to see if there were any vaults [think tanks] or secret things going on. And I was told there weren’t any, and I didn’t ever notice any. But it turned out that towards the end of that summer, at that same time, if I had been paying attention, I could have seen Bill Tompkins walking down the aisle. DW - <Laughs> Very interesting. BW - So from there I went on and got my PhD, and then I went to work for Douglas. Until they drafted me, I went to work for the Aberdeen Proving Ground for a couple of years and worked ballistic—well, shell dynamics. It was a good experience. BW - With that behind me, then I was asked to select an area, and so I selected thermodynamics, because they were really starting to build—actually, it was the Air Force, the M-18 that Bill Tompkins worked on. It was a Thor missile at the time, and they were worried about whether the back of this Thor missile would get hot. And so that was one of the challenges. I actually spent most of my time early on working on the Nike-Zeus missile. BW - And I actually hired Jerry Buss, of known fame now, who was a chemist, to decide how much Teflon we should put on the leading edges of the fins on this missile to keep it cool. BW - Well, anyway, my career went on, and I got involved in aerospace management. We managed the independent research and development program. And I got involved in the space station design later on. BW - And by 1993, I retired. But in 1968, there was an unusual event that happened that caused me to become involved in UFOs. It was pretty simple. My boss said, “Hey, I’ve got to give a briefing to the Air Force next week. And they want to know, 10 years from now, how we would go to orbit and back.” And I said, “Well—” just for a joke—I said, “Well, Ray, why don’t we tell them how many alleged UFOs would do it?” And he said, “That’s a great idea. Why don’t you work on that?” So I read my first UFO book. BW - I read my first UFO book. And I kind of concluded, “I don’t care if this guy is a famous astronomer. He’s obviously ignoring the data.” So I read more books, and the briefing went off OK. But a year later, my boss was out of town, and his bosses had me give the usual report on how we were doing on contracts and that sort of thing. And at the end of this meeting, he said, “By the way, Dr. Wood, we don’t often see you. Tell us what you’re doing that’s interesting.” And I said, “Well, you’re not going to believe this, but I’ve read 50 UFO books in the last year, and I have concluded that everything is certain. That is, we know that there’s aliens coming here in spacecraft. The only thing that’s not sure is whether we figure out how they work before or after our Lockheed competitor.” And there was a moment of silence, and my boss said, “What do you think it would take to look into that?” So for the next year and a half—actually, they gave us a half a million dollars. I hired Stan Friedman, who’s now a well-known UFO guy, to read the literature and see whether or not there was something in the literature that would tell us how they work. We had a laboratory. We did laboratory tests. We hired a detective to interview abductees and stuff like that, which, in those days, was kind of outside the norm. DW - So what were you thinking, Bob, when you’re seeing, obviously, all this data? You’re obviously a credible, credentialed PhD. You’re looking into this data scientifically. You have a half-million-dollar budget in 1968 dollars. And then you’re looking at the public and how the media is presenting this as if it’s a big farce, and it’s a joke. And, “Oh, it’s all swamp gas.” What did you feel about that at that time? BW - Well, that’s when the swamp gas report first came out, is actually that era. It turns out that I was focused on learning something. And so I joined organizations I thought were relevant—MUFON and CUFOS. And I wound up meeting James McDonald. BW - And so whenever he came to town, he and I would go to his lectures, and I became pretty aware of the work that he did. He was the one who said, “You ought to go visit the Condon Committee and tell them what you think.” So I did. I went to the Condon Committee. BW - And I said, “Well,” I told Condon and his committee, I said, “Do you know we’re doing a little study? And we did come up with one way that you could build a UFO that would potentially work. You could hover in the Earth’s magnetic field.” So I went through designs. And it turned out, it doesn’t work, because it’s not practical. But at the end of this visit, I decided that I would write Professor Condon a memo, a note, which I had properly approved. And I had suggested to him that maybe he could divide his team into two parts: part of the believers and the nonbelievers, the skeptics. And he got this letter. I also, in this letter, decided that I would send a copy to everybody on his committee. And I mentioned that. Well, he was so upset that he called up James S. McDonald on the phone and tried to get me fired. BW - Yeah. And I had no knowledge of this until months later, when my vice presidential boss said that he had to deal with that. And fundamentally, James McDonald didn’t like some university professor telling him how to run his business. And I had performed all the required approval signatures before this letter went out. DW - Could you just—for the viewer—I’m sure we’re going to get comments if I don’t say this. Explain to people who James McDonald is? BW - I have now concluded, with all the apparently classified work that the CIA has done on influencing people and psychotic drugs and stuff like that, anything’s possible. But the one thing that told me that McDonald was really interesting is—I knew him well enough that once I was going through Tucson on business, and I stopped off, and he was willing to meet me at the airport. So we had been looking at the evidence, and he said, “Bob, I think I figured—I finally figured out how it’s working.” And in hindsight, I have concluded what he had found—he had found one of the top secret documents that said that we had really recovered lots of craft. And in those days, that would have been a huge revelation. But he didn’t tell me that. He just said, “I finally found out what’s really going on.” And that was the last I knew. And the next thing I knew, he was dead. CG - Yeah, that sounds suspicious. But yet your findings obviously were not put on the same level in the media as the Whitewash. BW - So I thought about it a lot, and I decided, no, I wouldn’t do it. And furthermore, right about that same time, we lost the MOL program. And we just got an opportunity to bid on a ballistic missile program—defense program. And they didn’t have any radar guys. So furthermore, on this project, we knew how fast we were spending the money on these four or five different aspects, but we didn’t know how close we were getting to any answer. So we all agreed, “Let’s kill it.” So we stopped it in 1970. BW - And I made a deal with Stan Friedman that he would never talk about this. And we were going to write it up to tell the government what we’d done, and it turned out that our management decided, “No, we’ll pay for it right out of profits. We don’t tell the government we’re doing this subject.” Then I became a radar expert for ballistic missile defense for the next 10 years. And that turned out to be interesting too because it gave me top secret clearance for stuff. And the CIA was a customer to study the Soviet Ballistic Missile Defense Program. And my career went on until I got assigned to the space station. 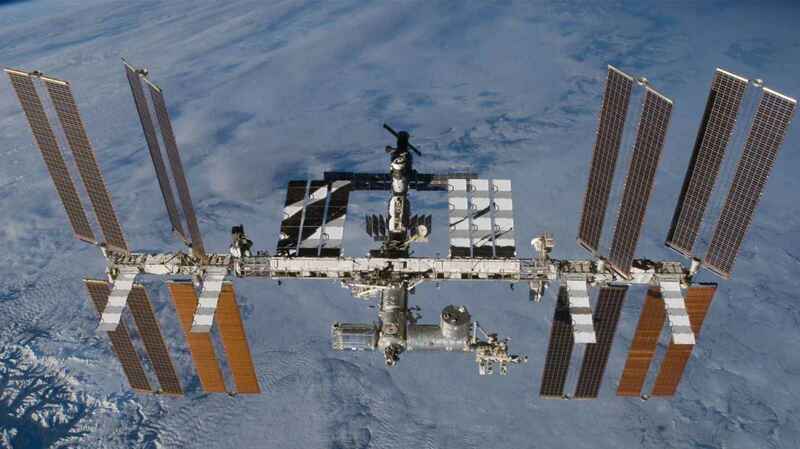 So for the next 10 years, I worked on the space station, which is a lot of fun. It’s up there now. DW - So you’re talking about the International Space Station, the ISS? DW - What was your role in the ISS’s development? CG - At Stanford Research, when they were actually doing that work? BW - Yeah, when they were doing that work. BW - That was the ‘80s. And in fact, my enthusiastic guy in the vault said, “Well, why don’t we turn in a proposal to James McDonald and try to do a coordinate remote viewing job—experiment?” So we did. In remote viewing, a target is selected, a person is selected, and at the right time, the person is asked to describe the target, which they’ve never seen. DW - What would the target be, for example? BW - It could be a ship sinking in the ocean. CG - Or a new type of radar on a ship that we haven’t got a good look at. BW - However, in this particular case, one of the things that had never been done in that time was to just use the coordinates. And they would take the coordinates of latitude and longitude, and those are the coordinates that are on a piece of paper. And the remote viewer is asked to describe what those coordinates—what’s at those coordinates. DW - So this is an intuitive, psychic thing they’re doing. Well, that was just a minor portion of everything I did. What happened, however, was that I met Harold Puthoff, who exposed me to the fact that there were people who were thinking about things psychically. And I became active in the SSE, Society for Scientific Exploration, a group of university professors, typically, who were willing to think outside the box. In any case, I retired in 1993, having had what I thought was a fun, successful career, beginning with the missiles and ending with the space station. And having lots of fun on classified work in between. I couldn’t have had a better career. CG - Yeah. Approach him, “Oh, by the way, I have a top-secret document in my hand.” That doesn’t go over very well. I’m surprised he touched it. CG - Yeah, because he would be familiar enough to know the typeset, where things were placed on the page, how the dates are arranged, everything. BW - Right. 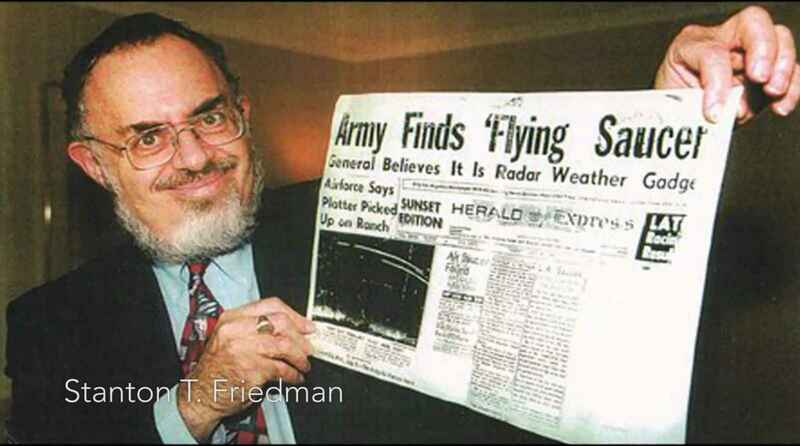 So anyway, my son, who had met Stanton Friedman when he was 15 years old, got interested in this stuff, and he and I became partners. So we gave a speech at one of the UFO meetings in Connecticut. And at that meeting, they responded by saying, “Wow, this is the first time we’ve seen anything that seems to be analytically evaluated and has an authenticity aspect that is pretty good.” So I declared that I was going to become an [authenticator of documents,] authenticating documents. DW - Yeah. 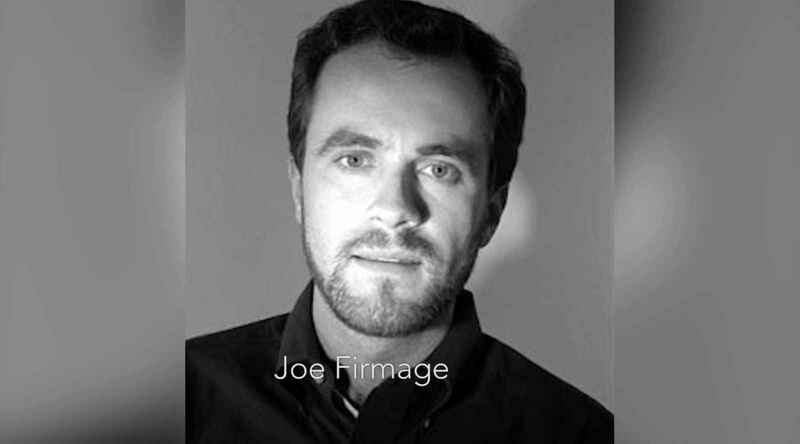 So for those who don’t know, Joe Firmage is this guy who had a very large amount of money who popped up for a while in the late 1990s and wanted to finance UFO investigations. DW - Right. So you actually worked for him? CG - He’s not going to steal the documents, right? CG - That’s what happens a lot. BW - So in the meantime, in this conversation, Joe had asked me, “Well, what do you think they’re worth?” And I said, “I don’t know. They might be worth millions.” So anyway, I went, had the meeting. My wife, in the meantime, had wondered why I’d been wasting all my time since I retired studying UFOs. So I went down to this meeting, and Joe looked the documents over. He said, “This is exactly what I want, Dr. Wood. What I’d like to do is I’d like to borrow these, have them authenticated, and if they’re authentic, I’ll print 2,000 copies of them for you under your specifications, and you can have them all back.” And so I said, “Well, Joe, is that—that’s your proposition?” He said, “Oh, no. I forgot something.” He opened up his briefcase and took out a check for $500,000 already made out to me. DW - Oh my gosh. BW - So I got on the phone with my son, and we couldn’t figure out any reason to not accept the offer. CG - Yeah, that’s kind of a hard thing to turn down. CG - Yeah. No strings attached. CG - She didn’t mind you looking at UFOs after that. BW - That’s right. Exactly right. BW - Yeah. So we checked it out. Turns out, it was in the same bank I banked with. And then Monday morning, I went. It was good. Called up Joe and said, “Joe, do you want to go ahead with this deal?” And he said, “Yes.” He said, “I want you to do that. Cash the check.” So that turned out to be very effective. Joe did everything he said he would do. He got it all printed, helped—assigned his company to help work with my son and me for that. And then he liked the whole idea so much of the secrecy, of the country, and so forth, that he wanted to do a television documentary called “The Secret,” where we took the essential ingredients of our authenticity procedures and tried to share them on this television documentary. DW - Just to be clear, this is not the movie, “The Secret” that says that you can ask the universe for as much money as you want, and the universe gives you the money? CG - And a different secret. DW - OK. So how are you familiar with Corey Goode’s work? Let’s just divert a little bit into that. Have you heard about it online, or how did you find out about what he was saying? BW - Well, actually, I hadn’t heard of Corey Goode until a year ago. BW - And the reason for that was because I—and this relates, actually, to Bill Tompkins. I met Bill Tompkins in 2009. He said he’d been trying to write his autobiography for nearly a decade. He’d tried with several various editors and writers, and they were never able to squeeze anything out that was like a book. And he was wondering whether I’d be willing to try it. So we began to become acquainted, and I went through the process of actually taking the words that Bill started with and turning them into a book. And that’s not a trivial process. CG - It first popped up for you. BW - Yeah. So I read this book. I said, “Wow. There’s more to this than I thought.” I never imagined there might have been a secret space program. And then as I started to think about what Bill had been showing me, namely images that he had drawn in 1954 of one-kilometer long spacecraft that it might have been the beginnings of a Navy program that could have become something like Solar Warden, which is presumably one of potentially several space programs that may indeed be in existence. So it’s just in the last year that my mind has suddenly been able to grasp the idea that we might really have had these secret space programs. If fact, if there’s any one thing I’ve learned now that I didn’t know five years ago, it’s the incredible level of secrecy in this government for this and other subjects. It’s absolutely incredible that people would—I mean, if you tried to tell somebody that the Nazis had a space base on the far side of the Moon in ‘45, they’ll look at you as if you’re from some other world. DW - <laughs> So Corey, Bob walked in today with a piece of paper printed out, high-resolution, of a diagram that Tompkins made of one of these crafts that he was working on. CG - One of the cigar-shaped ones. DW - Cigar-shaped, modular. Lots of little blocks that all are built to be able to fit together and build one of these. What was your feeling when you saw that? CG - Well, actually, I had—before I had seen it, I had worked with an artist to depict one of these craft, and they were very similar. CG - Very similar. And they were, indeed, very modular. Everything was—the whole middle of the craft was—the walls could come in real close or it could be pushed way back, and they could build modular rooms to do research in them. So a lot of what he designed came about. BW - Well, one of the things that excites me is the fact that the things that [William Tompkins]—everything he says he did, what I’ve been able to confirm, it was exactly correct. All the people that he said he knew, I knew those same people. CG - And his documentation is just unbelievable. It’s crazy. I wouldn’t say unbelievable, I mean, it’s completely believable. I mean, it’s—and you verified it. BW - But the fact that [Tompkins] was, for example, working in this think tank. That’s what he called it, a think tank, instead of a vault. In this think tank with Klemperer and Wheaton, every so often, they would get a phone call from the Navy. Well, one of the people who he said occasionally called him was Bobby Ray Inman. BW - And I checked to find out how old he would have been, and he would have been just starting up in his career, maybe as a lieutenant or something like that. And he was the guy who was telling Tompkins’ group what to do next. So you put that together with the fact that this kilometer-long craft kind of resembles what the Navy might have built later, would seem to be consistent with the Navy having been involved in that process. The wide variety of things that Tompkins worked on at TRW is pretty exciting to me. And he said that they had a green light to look [at] anything that was interesting in the whole world. You know, how were the pyramids really built? How do you keep somebody living forever or as long as the pharaohs used to live? How do you do that? And there was nothing that was off-limits. How do UFOs work? And of course, one of the things that most people are surprised at is that Bill’s—his direct testimony, the fact that the RAND Corporation was specifically formed by Douglas in order to study the alien problem. CG - Yeah, that’s pretty big. BW - Yeah. But—well, my comments on RAND would be that I think they have modified a great deal from their original purpose. I think when they started, they hired two groups. They decided to have a group of people who were given the real data that the Navy had presumably recovered from the 19—the Battle of LA crash. And then they had another group of people who were skeptical scientists, who would be willing to ask the question of what would it take to have intelligent life? Is it— How would you do that? And it turned out that my uncle, that is from my first wife, was an employee of RAND in the second category. And he and I had many firsthand conversations, and he was the classic skeptical physicist. He tried to prove to me that you can’t travel faster than the speed of light. Nothing will happen. But now, Bill Tompkins is saying that there was another part of RAND that was studying the real data. And he didn’t know anything more about what RAND was doing though. All he knew is what he was doing in the vault. And what he was doing in the vault was based on what he was being told. I don’t think he ever claims to have seen any recovered parts. DW - I’m curious about the timing of Tompkins coming forward. I mean, yes, you say he was working on his book for 10 years. But we have Corey, who was given briefings, saying that multiple insiders were going to come forward who would be able to corroborate what he said. And I’m really curious about your thoughts on—I mean, you say that there was no direct involvement in the writing of Tompkins’ book with intelligence services or anything like that. But as far as you know, you’re authorized to say whatever you want to say? You’re cleared to come forward like this? BW - Me? Yeah. I’m cleared to say anything I want to say. CG - And I’m sure there’s other classified things you worked on that are—don’t pertain to this that you can’t talk about. DW - Well, we also had a conversation—and I might be throwing you in a little bit by saying this, but—where Tompkins told me that he’s still on the inside. BW - I’m a little mystified about why Bill won’t tell me 100% of everything. He does show that he is still—appears to be invited to the annual West Conference that the Navy has, with the clearances that get him into rooms he shouldn’t be into. And in fact, that happened just this year. Someone has determined that even at his age, he’s perfectly willing to be told about things that nobody knows about. He went through into one room where he saw information on Solar Warden. DW - At one of these classified meetings? BW - The last one. DW - Are you aware that Corey worked in Solar Warden? BW - Well, yeah. I assumed that. BW - But did you, Corey, go to deal with contractors in the program? BW - But the assignment you had would not have given you, normally, much information about the management structure. CG - Right. Right. You really didn’t learn a whole lot about anything a tier ahead—above you. And you would learn a little bit about some of the people you were working with, but information didn’t flow real freely when it—on command structure. BW - Yeah, I don’t think he’s being told anything very specific on a regular basis. He claims that he was told by Webster to tell it all. I think that’s on the back cover of the book. DW - Oh. And who’s Webster, now? BW - He’s an admiral that he knew personally, I think when he lived in Oregon, perhaps. A retired admiral. And he said, “Tell it all.” And so that’s why Bill feels comfortable in telling it all. DID TOMPKINS KNOW OF AN SSP DURING HIS TIME? DW - I want to ask you just a really brief opinion question, and that is what was it like for you to encounter Corey’s testimony and see so many astonishing crossovers to what you had been gathering from Tompkins in the preceding seven years? What was that like for you? BW - I’ve concluded that your involvement could conceivably have been the ultimate result of what Tompkins might have started. But my feeling is that Tompkins didn’t have any way of following that in detail. I really don’t think that he—and I talked to him today, actually. I didn’t ask him this question. But I don’t think that he had any knowledge of a Navy space program while it was being developed at all. DW - Alright. Well, this is all the time we have for in this episode of “Cosmic Disclosure.” I hope you’ve enjoyed it. This is a really valuable window into the history of ufology. And here we have somebody who was right on the front lines of this fight for full disclosure, which I do believe we are going to get, and this show is part of that process. 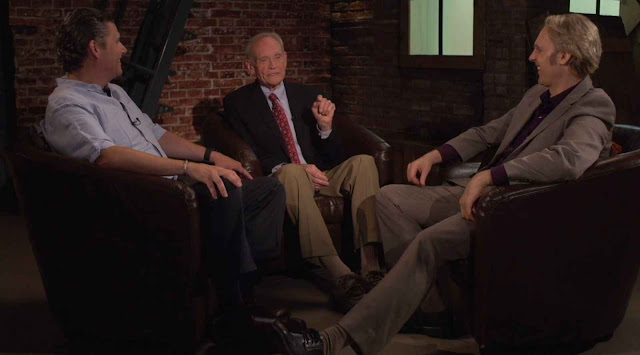 I’m David Wilcock, here with Dr. Bob Wood and Corey Goode, and I thank you for watching. Click here for a Summary and Analysis of Season 5 Episode 17. Justin Deschamps is a truth seeker inspired by philosophy and the love of wisdom in all its forms. He was formally trained in physics and psychology, later discovering the spiritual basis of reality and the interconnected nature of all things. He strives to find the path of truth while also walking it himself, sharing what he knows with others so as to facilitate cooperative change for a better future. He is a student of all and a teacher to some. Follow on Twitter @sitsshow, Facebook Stillness in the Storm, and Follow on steemit @justin-sits. 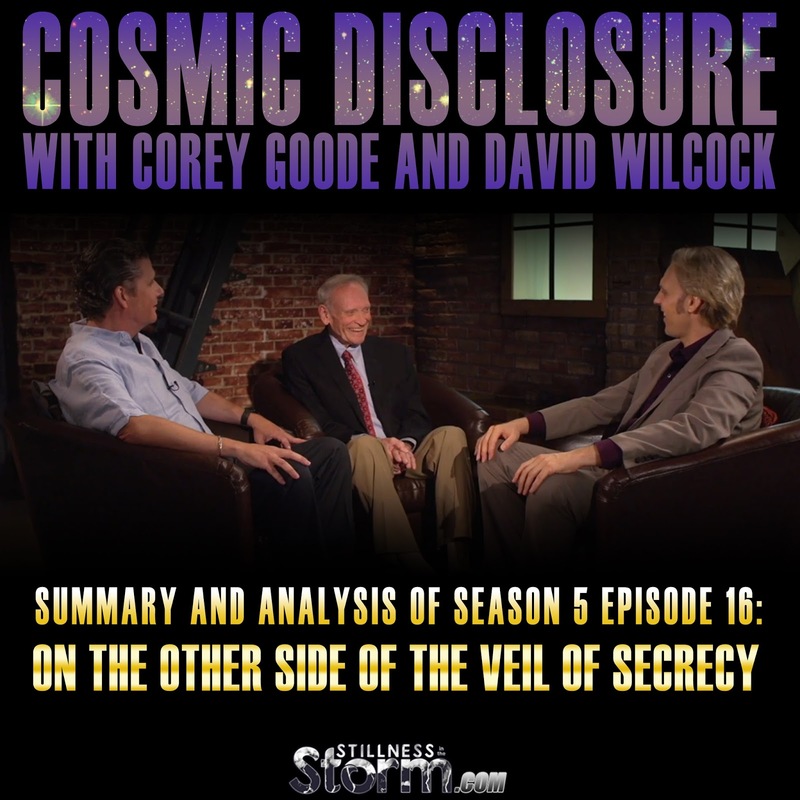 This article (Cosmic Disclosure Season 5 - Episode 16: On the Other Side of the Veil of Secrecy - Summary and Analysis | Corey Goode and David Wilcock) by Justin Deschamps originally appeared on StillnessintheStorm.com and is free and open source. You have permission to share or republish this article in full so long as attribution to the author and stillnessinthestorm.com are provided. If you spot a typo, email sitsshow@gmail.com.